Remotely track lost or stolen Macs. 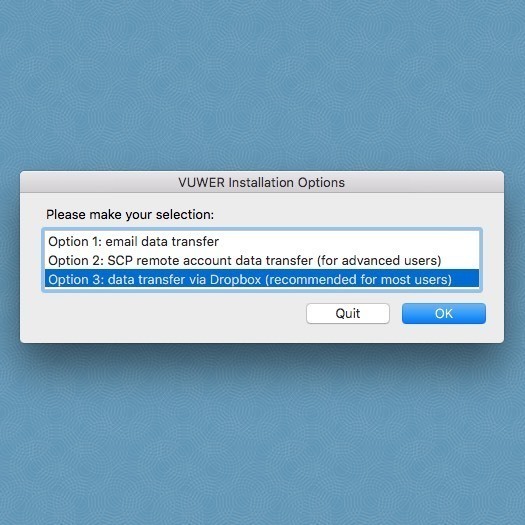 Is there a better alternative to VUWER? Is VUWER really the best app in Security category? 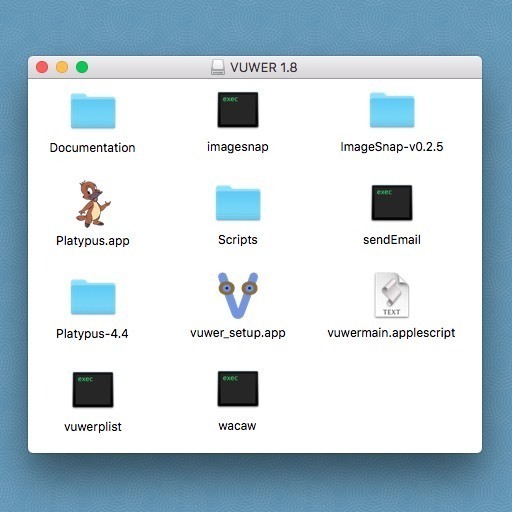 Will VUWER work good on macOS 10.13.4? 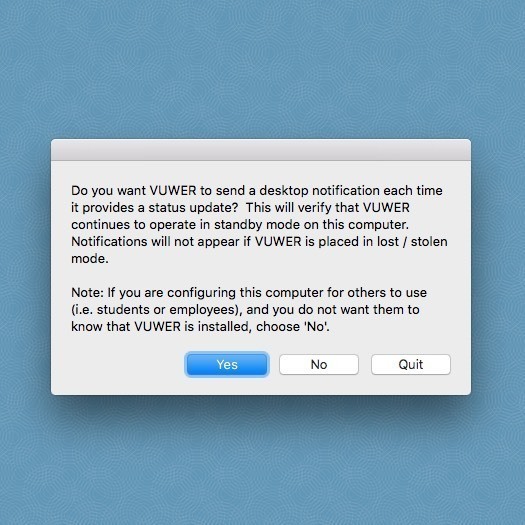 VUWER (pronounced like "viewer") is an application designed to remotely track your MacBook, MacBook Air, or MacBook Pro (or any other Apple computer) in the event that it is lost or stolen. VUWER is not foolproof, but it is reasonably secure, easy to implement, and costs nothing but a little time and effort to set up. 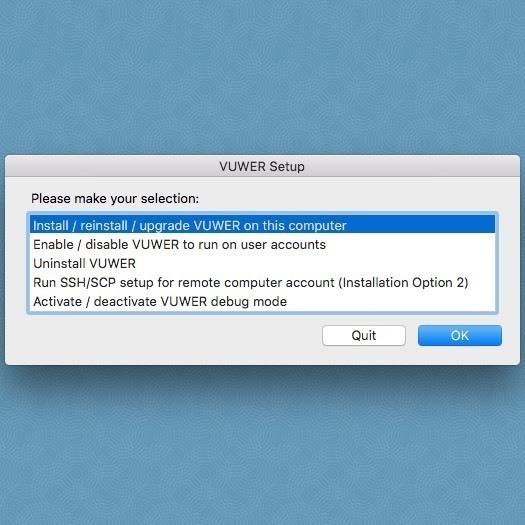 VUWER is free of charge, open source, and relies on standard OS X commands and readily available freeware applications for installation and operation. 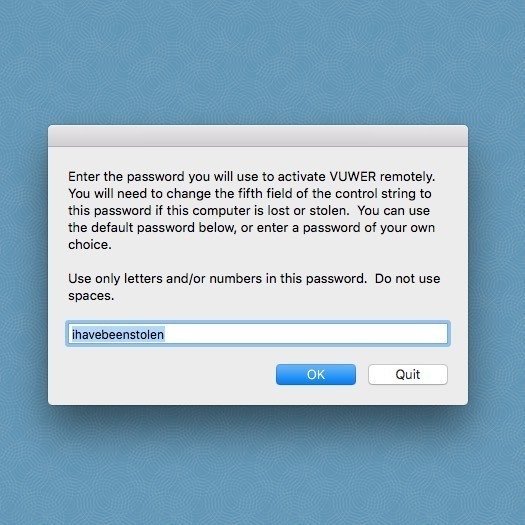 Also, since VUWER is written in Applescript, it is relatively easy to modify or enhance in any way you choose. Note: Although Finder indicates app version to be 1.0, the developer refers to it as version 1.9.2. You are in complete control of where the captured data from your stolen laptop is sent and how it is accessed; data can be transmitted by email, by secure file copy to another computer account, or to a Dropbox account. You can remotely capture screenshots, iSight/FaceTime camera images, and IP geolocation data from your laptop, and separately choose their respective repetition intervals. No third-party intermediary is required to track your laptop. VUWER eliminates any possibility of an unscrupulous person at a theft-recovery company snooping on you. Please submit comments and bug reports to tim.holman@vanderbilt.edu.